In 1958 activities and opportunities of NCIPD significantly enrich with the formation of Parasitology Department at the Centre, on the basis of the existing Republican Institute of Malaria and Medical Parasitology. Department of Parasitology and Tropical Medicine has made significant contributions in the surveillance and control of parasitic and tropical diseases. The staff of the Department is composed of perfectly trained professionals who develop policy and practical approaches in this important field for the country. 1. SCIENTIFIC RESEARCH. The epidemiology, immunology, pathogenesis, clinic, diagnosis, treatment and prophylaxis of indigenous and imported parasitic diseases are studied. The efforts are mainly dedicated to the widely spread indigenous parasitoses such as zoonoses - echinococcosis, trichinellosis, taeniasis; soil-transmitted helminthoses - ascariasis, trichuriasis, toxocarosis; cmmunity acquired parasitic diseases - hymenolepiasis, enterobiasis, giardiasis.and trichomoniasis. Opportunistic parasitoses (toxoplasmosis, cryptosporidiosis, blastocystosis, visceral leishmanisis) in immunocompromised patients are diagnosed by morphological, serological and biomolecular methods. Ethiological structure, clinical peculiarities and epidemiology of these infections are investigated. The imported parasitic diseases – malaria, amoebiasis, filariases, ancylostomidoses, leishmaniases, etc. are mainly studied in order to restrict the consequenses of their import, to prevent their local transmission and epidemic and endemic distribution in the country. The development and implementation of control measures programs concerning parasitic diseases are also on agenda. 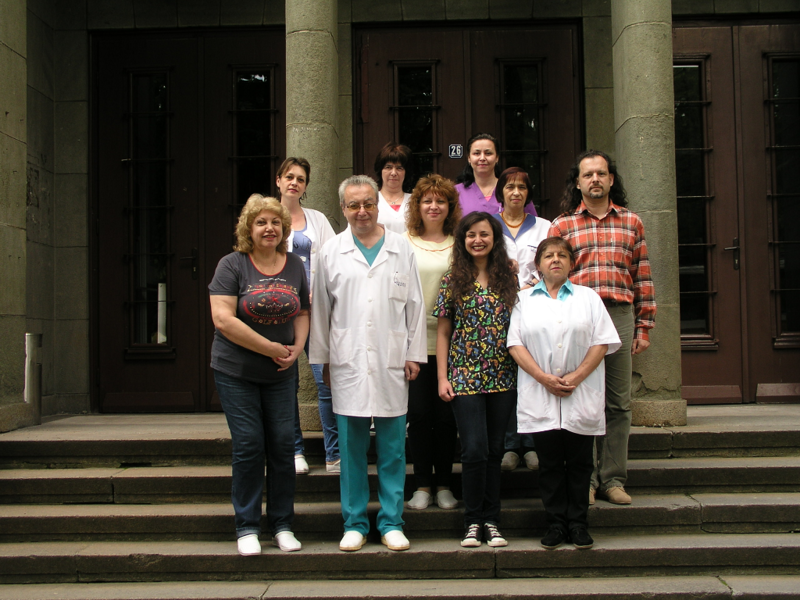 Under the leadership of the MH the staff of the department has developed two National Programs: between 2004 and 2008 the program for control of echinococcosis in humans and animals and from 2014 until 2018 National Program f of vector-borne transmitted infections in humans in Bulgaria. The problems of ecoparasitology are the topic of a research work, too. Naegleria and Acanthamoeba spp. are studied. An entomology unit is operating at the department, dealing with the blood-sucking insects of actual or potential importance as vectors of parasitic diseases. 2. TRAINING ACTIVITIES. As a part of NCIPD the department is accredited by the Ministry of Education and Research as a National Postgraduate Training Centre in the basic medical specialty – medical parasitology for continuous education and PhD program “Parasitology and Helminthology”. There is an annual program of short- and long-term postgraduated training courses and individual training. 3. Diagnostic and therapeutic activitIES. Routine and reference diagnosis of indigenous and imported parasitic diseases is carried out by modern laboratory methods - morphological, immunological and molecular – biological. Medical consideration of patients, incl. travelers is conducted. 4. ADVISING AND CONSULTING ACTIVITIES. The staff is engaged in epidemiological surveillance of parasitic diseases in the country, in the development of annual analysis of the parasitological situation, in elaborating standard documents and national programs for the control and prevention of parasitic diseases in the country in assistance to the Ministry of Health. Technical assistance to the specialized parasitological network, to the clinicians of other specialties and to the general practitioners in all aspects of parasitology – epidemiology, diagnosis, treatment, prophylaxis, control is carried out as well. 5. External Quality Assessments (EQA). From 2001 NCIPD and Department of Parasitology and Tropical Medicine conducted EQA of laboratory diagnostics for all parasitological laboratories in Bulgaria and from 2013 certified several national malaria laboratories in other countries of the WHO European Region. Every year NCIPD and the Department participate in external laboratory quality control of diagnostic activity organized by INSTAND, Germany. The Department includes the following main units: National Reference Laboratory for the Diagnosis of Parasitic Diseases (NRLDPD), Laboratory of Experimental and Applied Parasitology (LEPP) and National Outpatient Unit for Consulting Assistance in Parasitic and Tropical Diseases. Harizanov, R., I. Rainova, I. Kaftandjiev, D. Jordanova, I. Marinova. 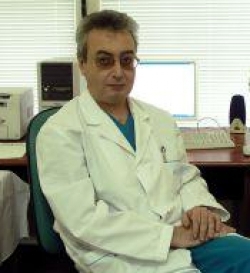 Soil-transmitted helminth infections in Bulgaria. A retrospective study of some epidemiological features. // Problems Inf. Parasit. Dis. 41, 2013, 2, 32-35. Rainova, I., I. Marinova, R. Harizanov, D. Jordanova, I. Kaftandjiev, I. Bikov, N. Tsvetkova. Parasitic diseases in Bulgaria in 2012. // Problems Inf. Parasit. Dis. 42, 2014, 1, 29-38. Yancheva N., D. Strashimirov, I. Elenkov, T. Tchervenyakova, Р. Tomova, N. Tcvetkova, M. Yankova, T. Tomov, M. Nikolova. Etiologic characteristics of enterocolitis in hospitalized HIV-infected patients for 3-year period (2013-2015). // Acta Medica Bulgarica, XLIII, 2016, 1, 64-70. Yancheva N, N. Tsvetkova, M. Nikolova, I. Alexiev, T. Tchervenyakova. HIV-Infected Patient with Refractory Giardiasis and Lingua Villosa Nigra: A Case Report. // Clinical Medical Reviews and Case Reports, 3, 2016, 8, 126.